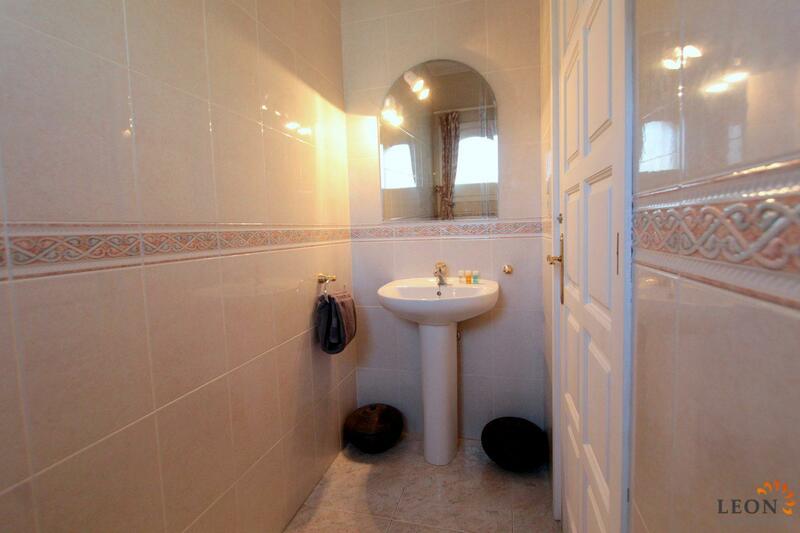 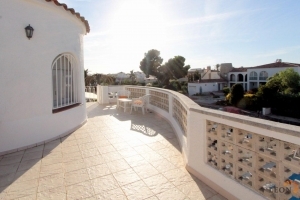 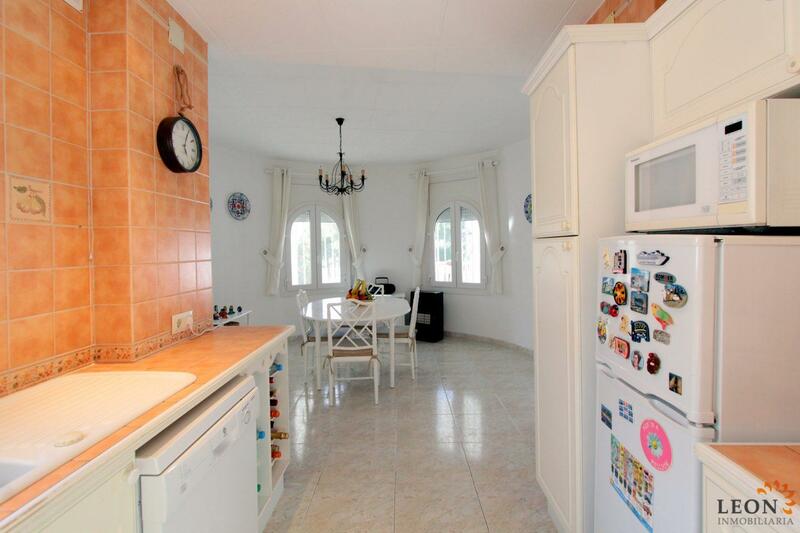 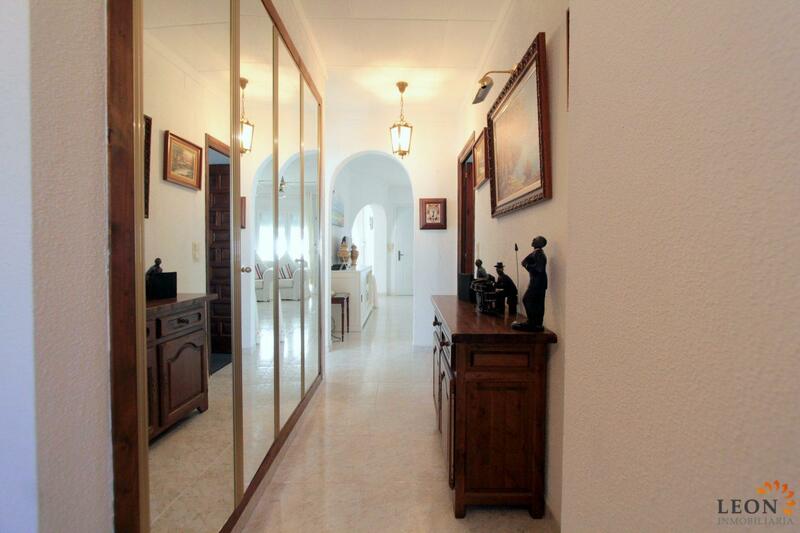 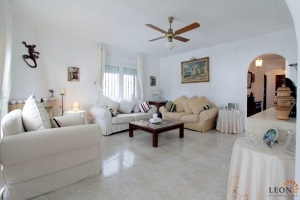 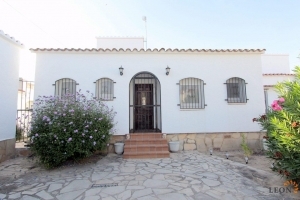 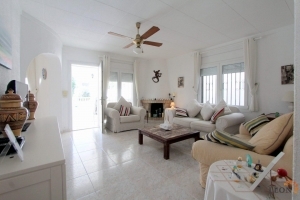 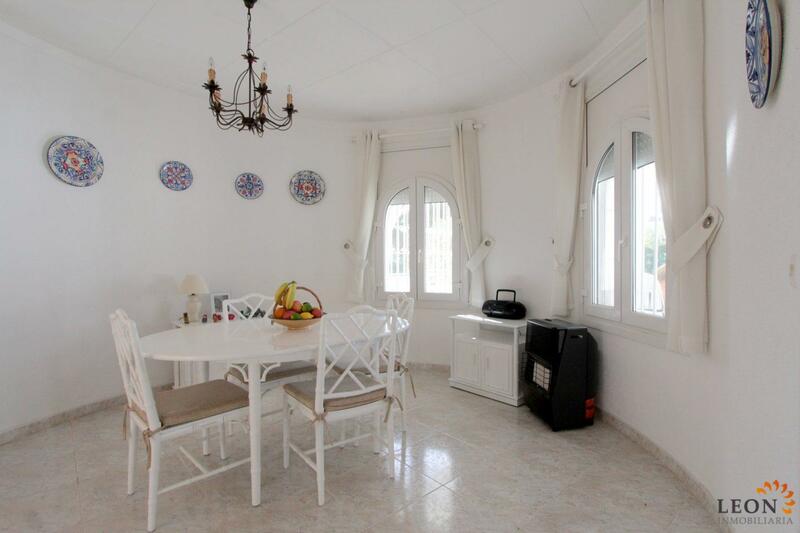 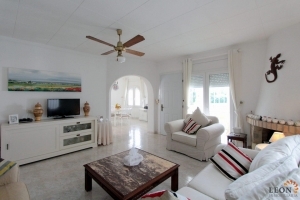 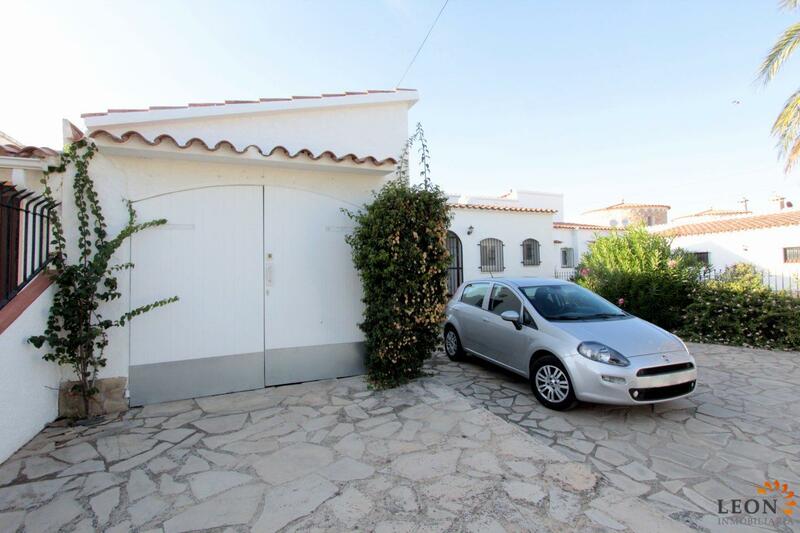 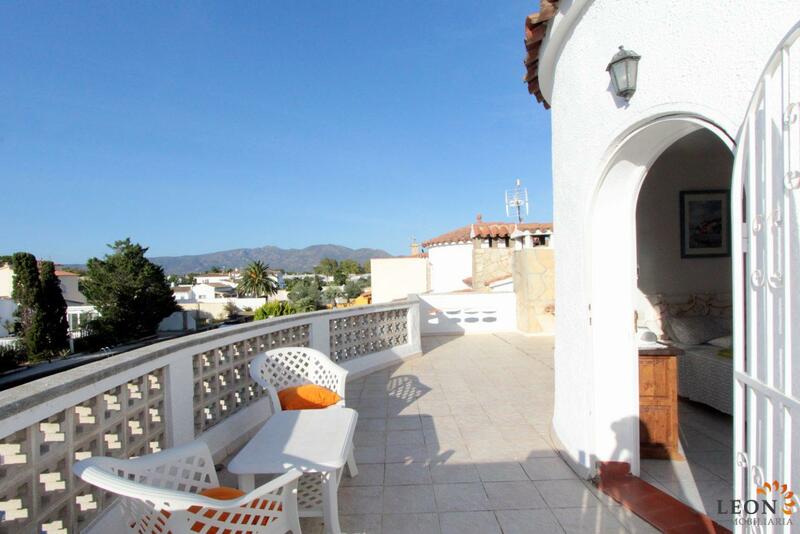 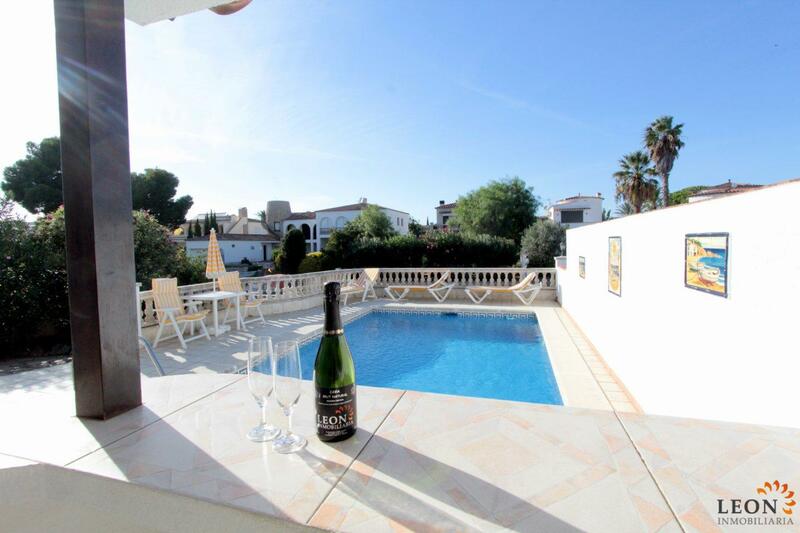 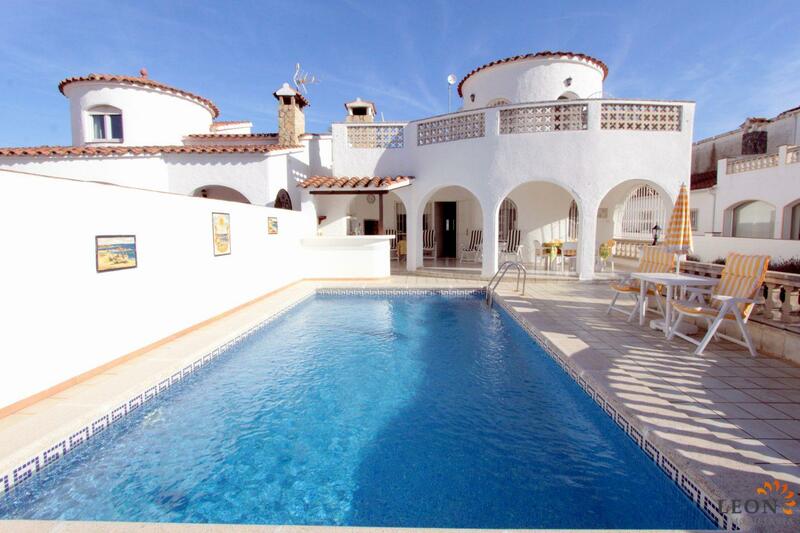 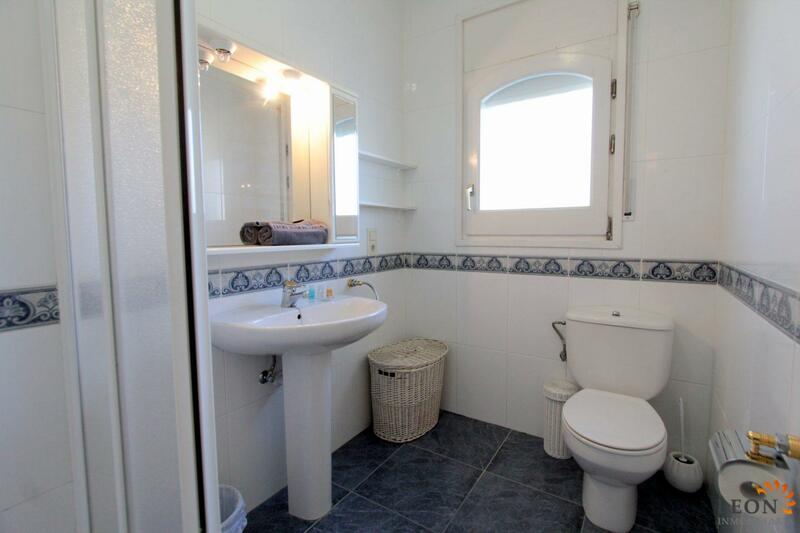 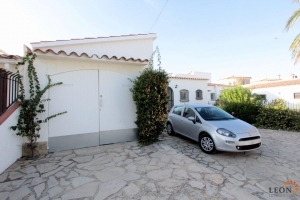 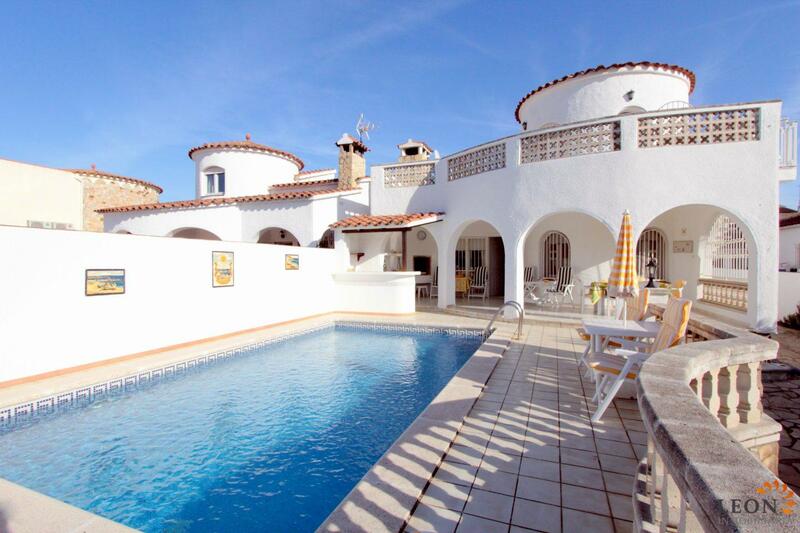 This lovely and well maintained villa is situated on a large plot of 500 m² and has a generous living area of 120 m². 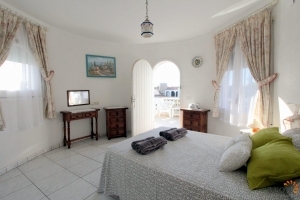 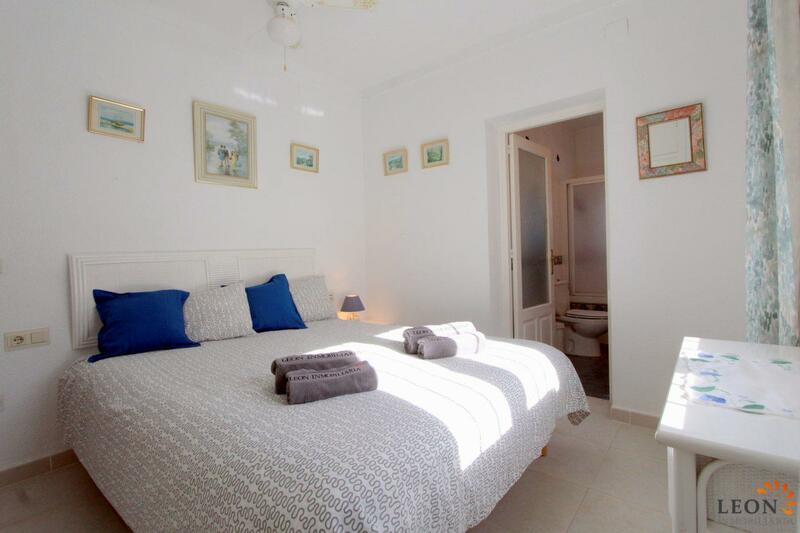 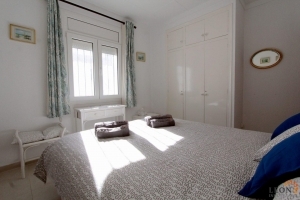 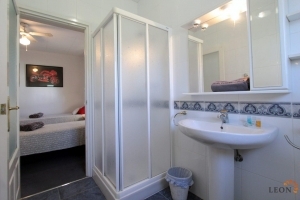 The main part of the property has 2 double ensuite bedrooms, as well as an additional double bedroom with ensuite bathroom in the tower, which has its own entrance and large balcony. 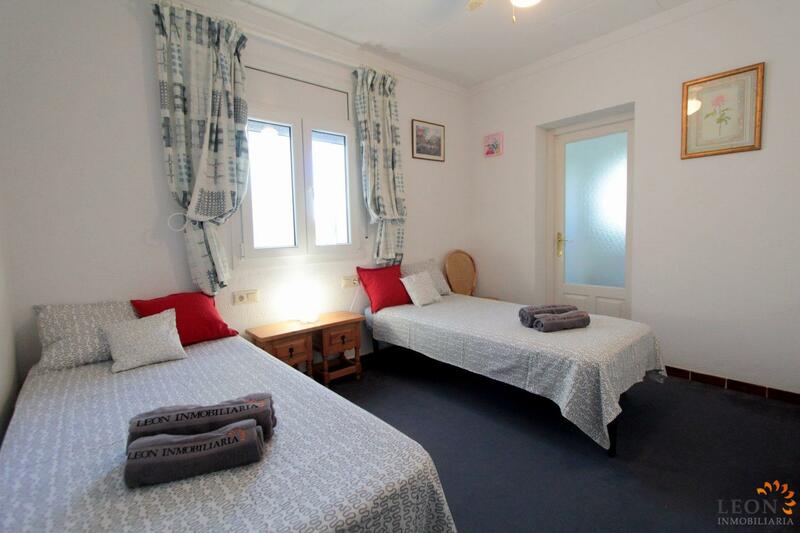 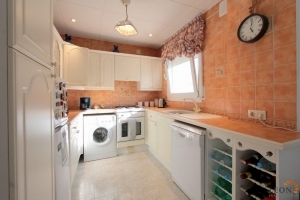 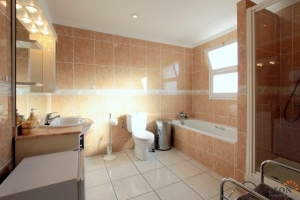 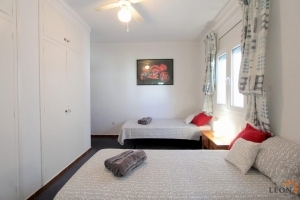 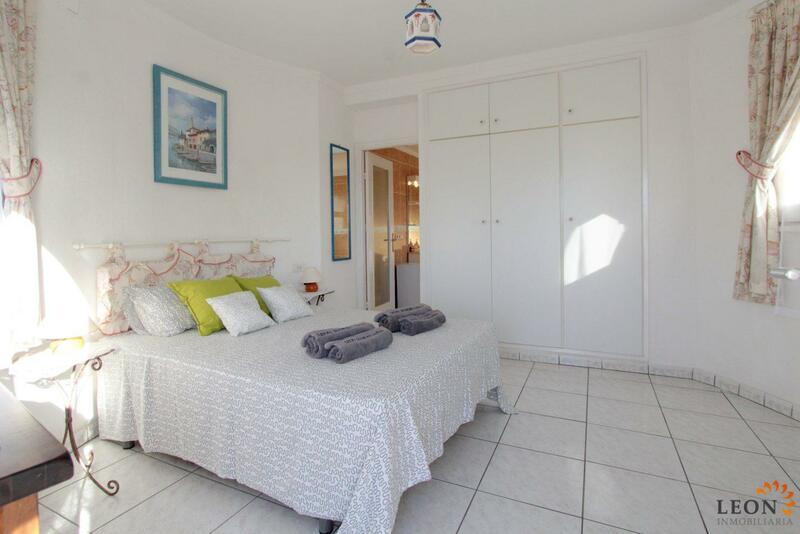 The living space is open and light and boasts an American style kitchen with dishwasher and washing machine. 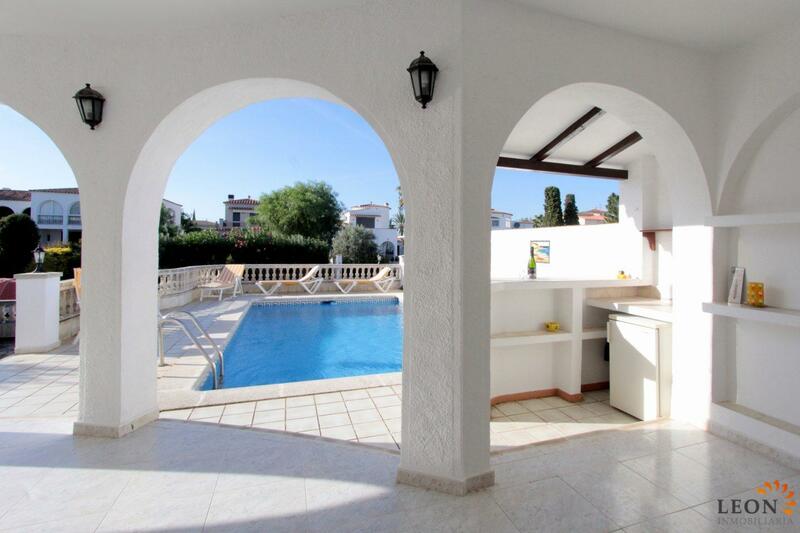 The outside area is well designed with a covered terrace with fireplace and kitchen area overlooking the inviting swimming pool. 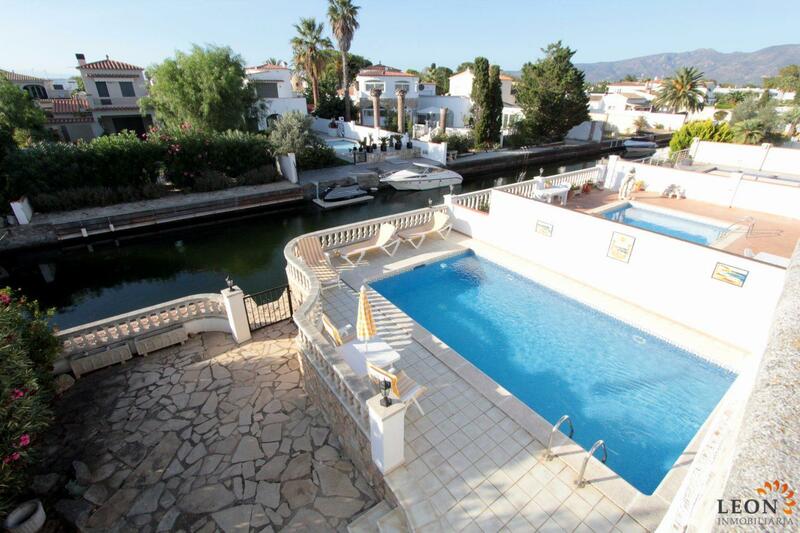 From the terrace, steps are leading down to a lovely patio, from where the private mooring space can be reached. 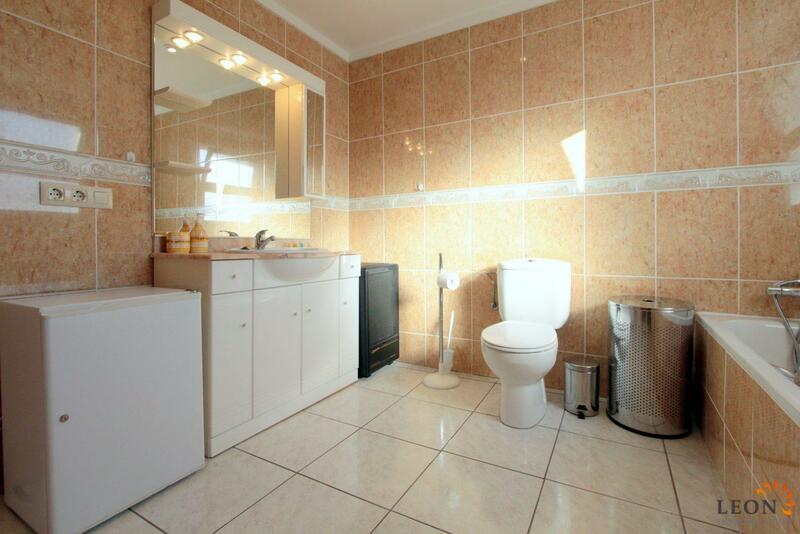 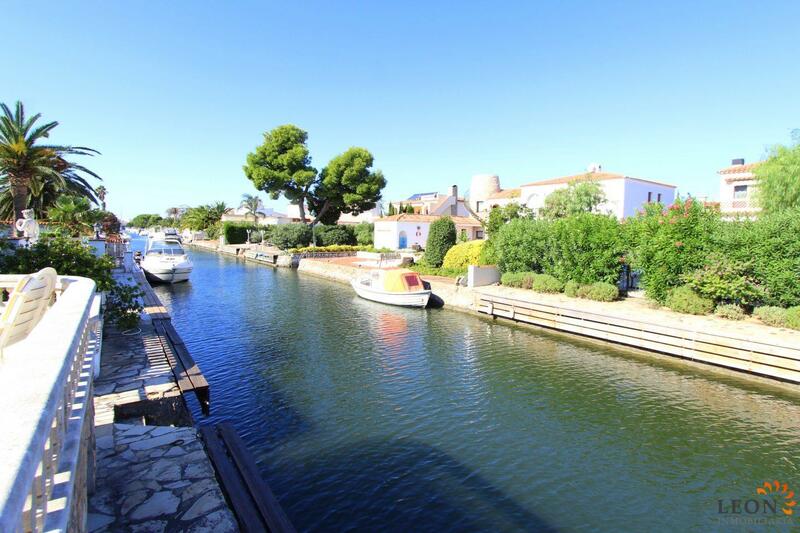 The views over the canal are gorgeous and, on a more practical note, the property offers private off street parking. 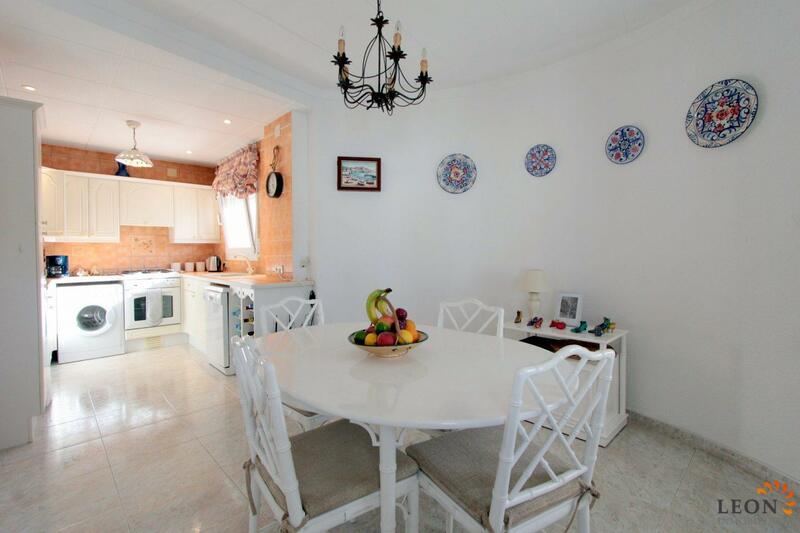 The central location of the villa offers shops, restaurants and the sandy beach within easy walking distance. 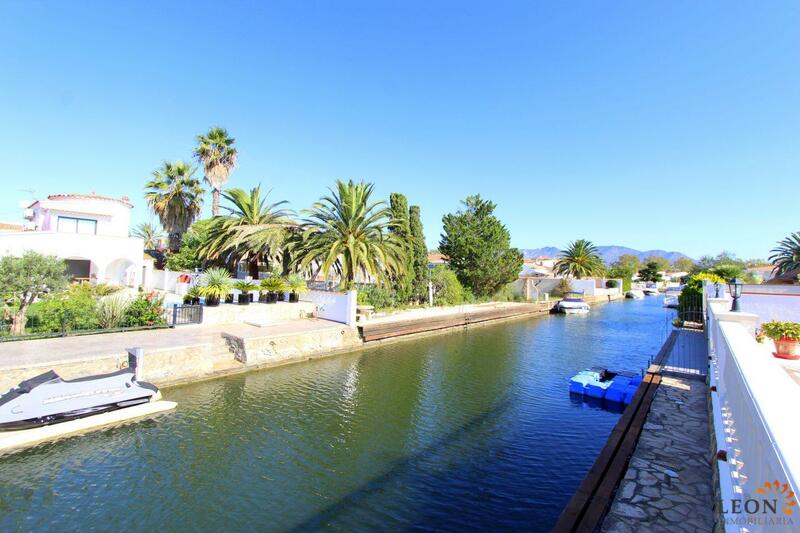 Additionally, Empuriabrava and the surrounding area offer unlimited recreational opportunities like skydiving, all kinds of water sport activities and golf, as well as a wide choice of cultural attractions. 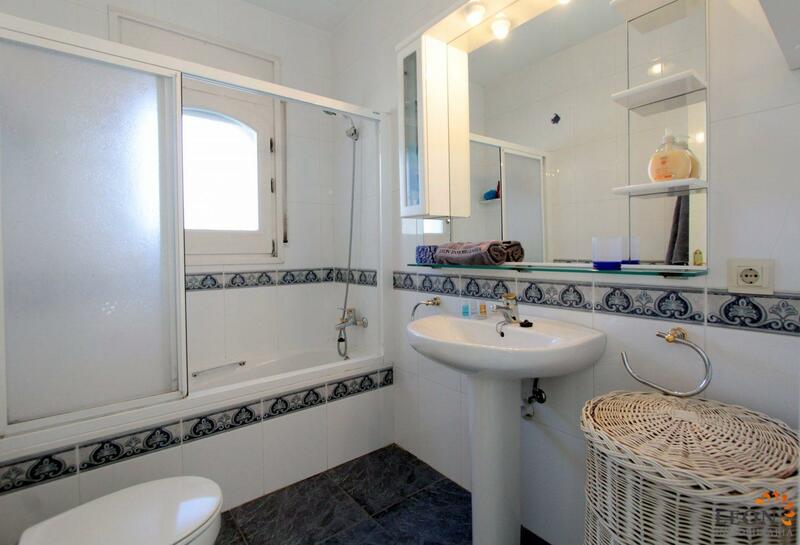 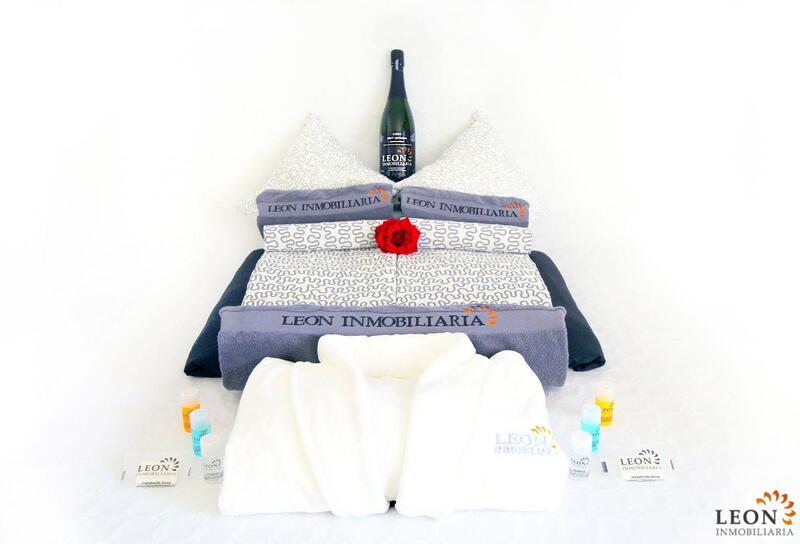 For further information about this property, or indeed other holiday properties, please contact LEON INMOBILIARIA by email or telephone at our main office in Empuriabrava: 0034 / 972 45 00 37.